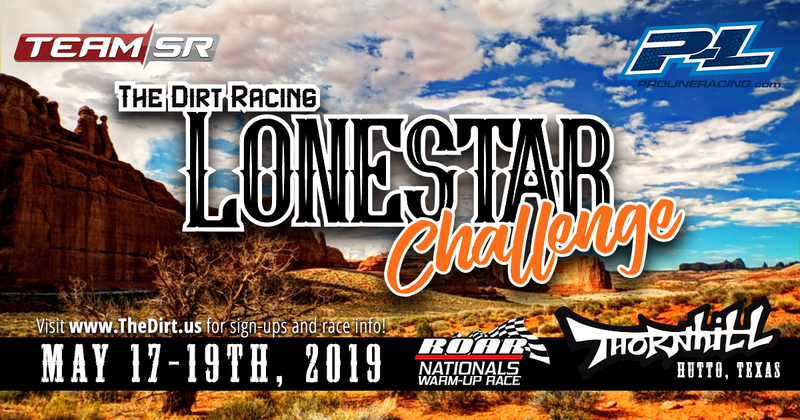 6th annual The Dirt Lonestar Challenge entries are now open!! We are excited to announce that entries are now open for the 6th annual The Dirt Lonestar Challenge! The event will once again be held at the world famous Thornhill Racing Circuit in Hutto TX. The race will also double as the ROAR Fuel off-road Nationals warm-up race. The Dirt Racing will be building brand new layouts for ea event. As always we will be hosting a racer horseshoe tournament as well as a Hot Wheels race!! Mr. Jimmy Babcock will be the race director and Joey C will be in charge of the after hours entertainment 🙂 Thornhill will have air conditioned pit spots available and they are available by reservation only! They sell out so be sure to get one. $50. per spot and to reserve one please e-mail thornhillracingcircuit@gmail.com. We look forward to see you at the track!!! !